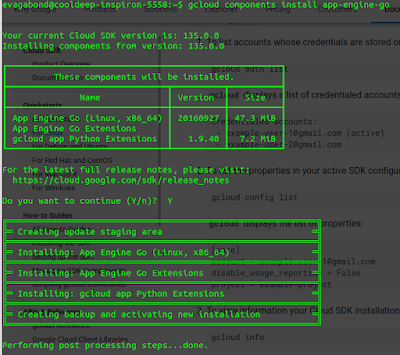 This tutorial shows you the various steps to successfully install the Google Cloud SDK for App Engine using Python 2.7 in Ubuntu 14.04. You should similar output as this: Python 2.7.6. 2. Download the SDK for App Engine from here: http://bit.ly/2fe0azC. Make sure you select the Python version. Note: In Ubuntu ~ represent the Home directory. 4. 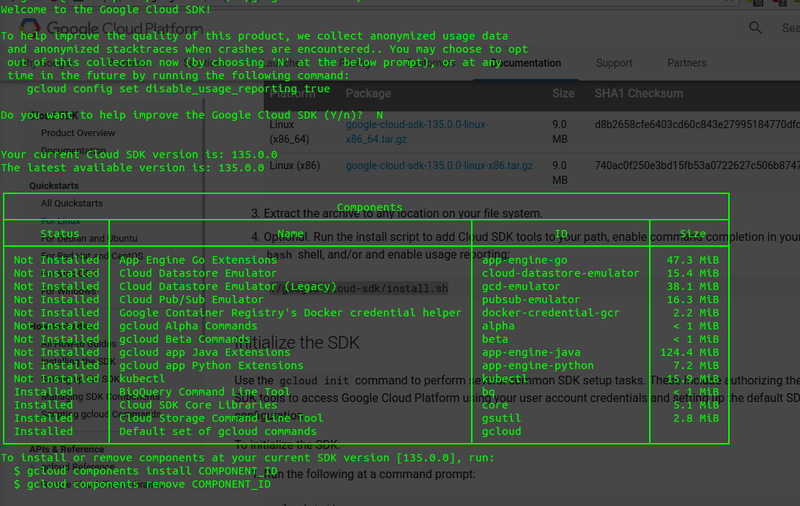 Remain in your home folder (do not change directory to your SDK folder) and execute the following commands in your terminal. Once you run the initi command, your default browser will open up and you will be asked to sign into your google account. This will be the account connected to your App Engine and various Google Cloud related services. 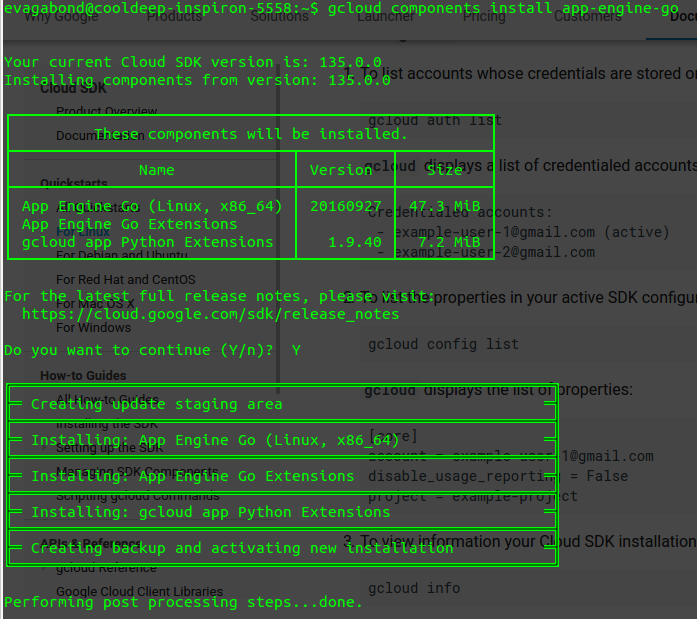 Once you have successfully performed the installations explained above, you can now install the App Engine by running the following command in your terminal (also refer image below). 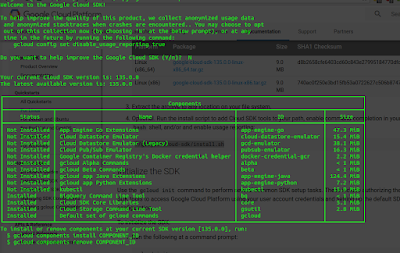 Make sure you are outside your SDK folder else the command wont execute.